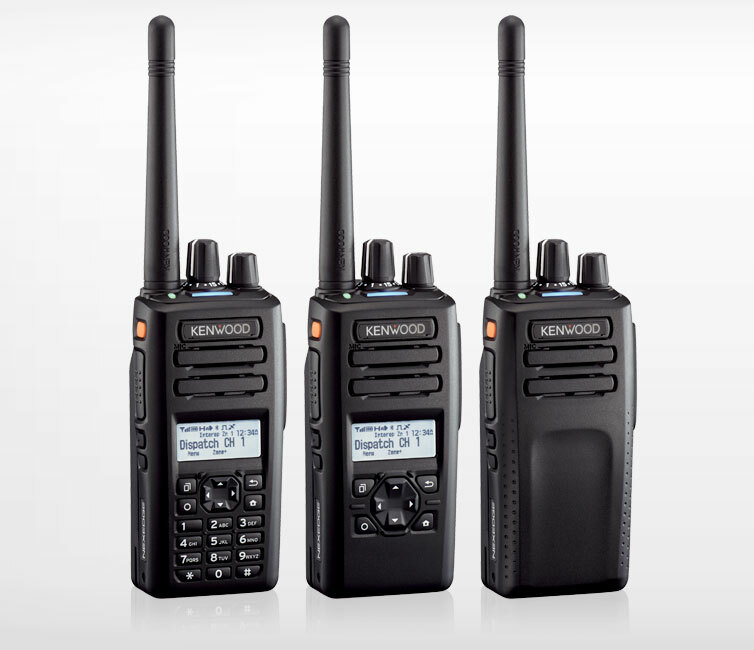 This versatile handheld radio supports both NXDN® and DMR digital protocols as well as mixed digital & FM analog operation, enabling it to serve with distinction in a wide range of enterprise and operation critical applications. Compact yet designed with durability in mind, it’s packed with convenient features like Bluetooth® for hands-free operation and built-in GPS. Three different models are available: Full Keypad model with LCD, Standard Keypad model with LCD and a large 4-way D-pad, and the Basic Model without LCD or keypad. Additionally, for expansion capability a software license certification system facilitates extensive customization. 7-color Light Bar Indicator on the top panel. Individual color can be set for each channel. Our Kenwood dealers will help you find the right radio for the job. © 2019 Copyright JVCKenwood Canada Inc.